Living in Europe for three years gave us the best opportunity to go around and explore every corner of this elegant continent. We not only had the chance to visit big countries like Germany, France, Italy, or Spain, but we were blessed to visit some of the less-spoiled territories here. Yes it’s true that sometimes it’s not easy to get around the smaller countries for their transportation system but once you step your feet here, they will give you experience that you will never encounter anywhere else in the world. There are several micro-states in Europe, each boasts of its own pride and heritage. Here are five of them from smallest to largest where we visited recently and would love to go back again and again. Although it is the smallest country in Europe and in the world, Vatican City has its own railroad station, stamp, police force, national anthem, and post office. When in Rome, try to spare at least two days for this tiny country. We couldn’t visit the famous Sistine Chapel or Vatican City Museum for time constraints, but keep in mind that visitors have to stand in lines for hours to get into these places. We spent most of our time in St. Peter’s Basilica in St. Peter’s Square. Don’t forget to enjoy this square and the grand façade of St. Peter’s both at night and during day. The square is nicely decorated with fountains, an obelisk, and boundary columns on both sides. While inside the basilica, enjoy Michelangelo and Bernini’s designs and creative artworks. Every corner of St. Peter’s Basilica is lavishly decorated and leaves its guests in awe. 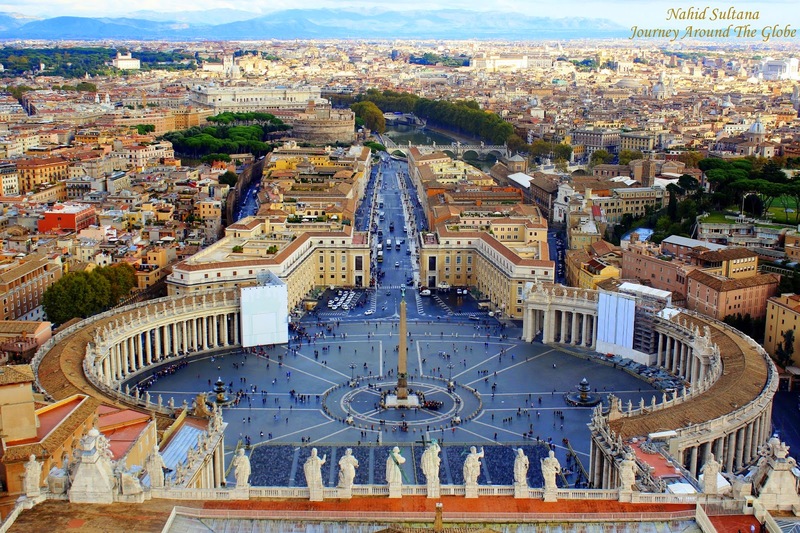 Then climb top of the basilica’s copula for a perfect 360 degree panoramic view of the ‘Holy See’. This is the second smallest country in the world. This tiny country lies in between the Alps and Mediterranean Sea. Monte Carlo, has been a symbol of glamor for centuries, is the capitol of this country. 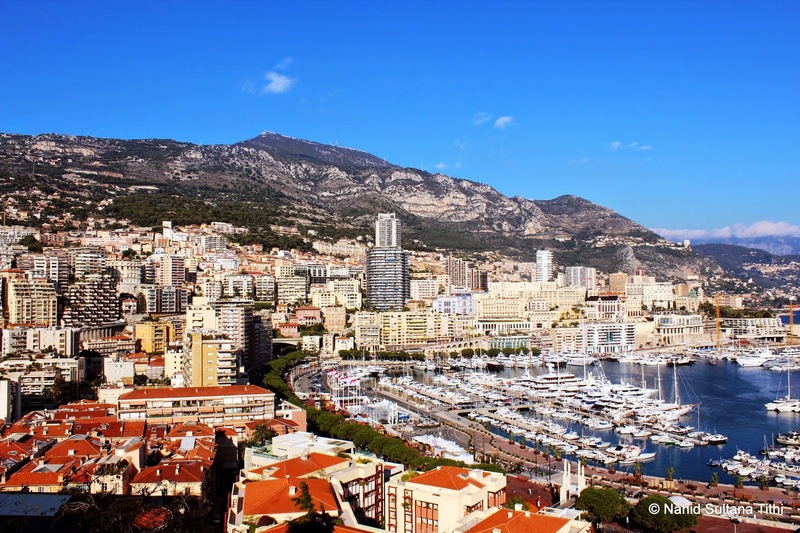 Monaco is probably most known for its Formula 1 Grand Prix race, which is a major social highlights in whole Europe. Surrounded by the French Riviera and Italian Riviera, Monaco is a picture-perfect place to visit at any time of the year. Other than roaming around its old part or cozy neighborhoods, Monaco offers many pleasant and elegant sites to its visitors. We started our day in Monaco with Prince’s Palace. The palace may be a bit simple but surrounding of the palace offers a breathtaking view of the port and Monte Carlo. Get lost in the small, narrow streets from this square and walk over to Monaco Cathedral. Built in 1875, this is the main cathedral of this country. Then we visited Jardin Exotique (Exotic Garden), out of many gardens of Monaco, and spent beautiful late afternoon there. Thousands of rare plants (especially cacti and succulent plants) from around the world are displayed here with memorable view of the Mediterranean on one side. Our last stop in Monaco was Grand Casino in Monte Carlo. This is one of the most famous casinos in the world where the wealthy and celebrities come to gamble; but keep in mind, you have to dress formal to get inside the casino. Republic of San Marino is the third smallest state in Europe. 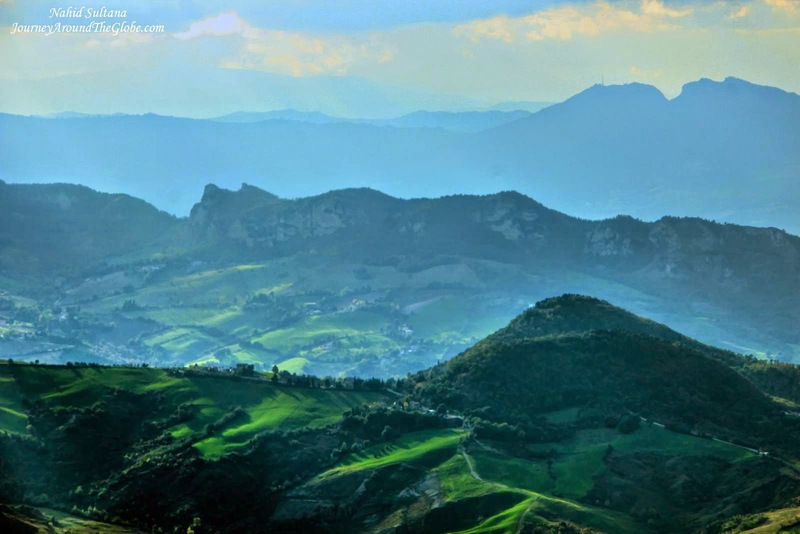 Surrounded by Italy, San Marino has some magnificent views of the majestic Italian Alps and Adriatic coast. Capital of this country, also known as San Marino, is a located on a mountain top. Visit the three medieval towers, enjoy layers of surrounding mountains, go inside Basilica de San Marino, wander around the winding alleys and cobbled-streets for tax-free shopping, taste some gelatos, or just relax in public square, like Piazza della Liberta or Piazza Publica. Bordering with Switzerland and Austria, Liechtenstein is the 3rd smallest country in Europe and 7th smallest in the world. This is the only country that lies entirely in the Alps. Don’t be disappointed by its size; tourists can spend days or weeks here exploring the mountains or charming small villages. 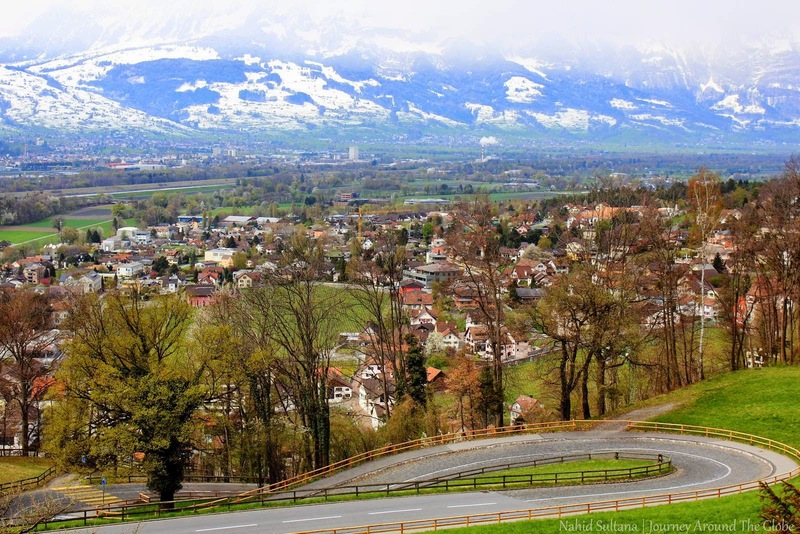 Since Liechtenstein can be an expensive country, many visitors stay in Austria and come here for tourism. Vaduz, the capital of it, is a trendy and modern city. Main sites in Vaduz are located on Stadtle, city center with a beautiful pedestrian street. Here you can see Liechtenstein Parliament, Vaduz City Hall, few museums, intriguing statues and art pieces. Cathedral of St. Florin or Vaduz Cathedral is only 5 minutes’ walk from here. Enjoy a hearty meal or spend some money on Swiss chocolates, or a cuckoo clock right here in Stadtle. But the best view of the Alps and Rhine Valley can be seen from Vaduz Castle. It’s 700 year old castle which is still the official residence of Prince of Liechtenstein. Though no one is allowed inside the castle, the view from here is incomparable. Enjoy the fresh mountain air, green meadows, and snow-capped mountains while here. Situated by the blue Mediterranean with only 316 sq. km of land mass, Malta is a great place to enjoy history, natural beauty, shopping, food, and everything else you need for a perfect vacation. 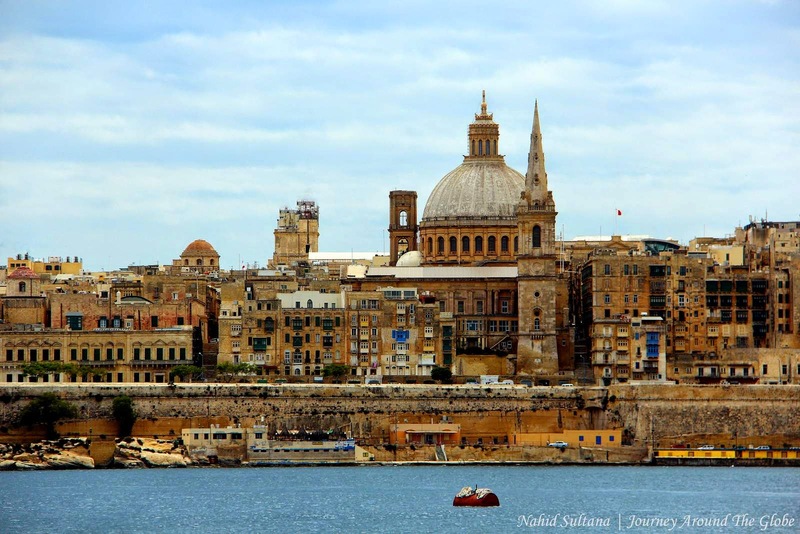 Valletta, a UNESCO World Heritage site, has still kept it 16th century medieval look and charm at every corner. St. John’s Cathedral in Valletta is one of the most gorgeous cathedral or churches we’ve seen in whole Europe. There are plenty of other old and historic churches in this town to visit if you can spare some time. Upper Baracca Garden offers a fantastic view of Grand Harbor and the surroundings. If you have an extra day, try taking a boat trip to visit Islands of Gozo and Comino. They are two sister islands of Malta, mainly known for unspoiled beaches, diving sites, pre-historic landmarks, and of course… endless scenic beauty. About the Author: Nahid Sultana, from www.journeyaroundtheglobe.com, is a passionate traveler and a professional freelance photographer. After living in Europe for three years, she is currently working on her first book to share her adventures and experiences of Europe. She travels to make memories, to learn, to enjoy, and finally… to capture the moments through her lens. Same here Rajlakshmi… They are on our lost too! Indeed cool! Can you use that currency anywhere else?